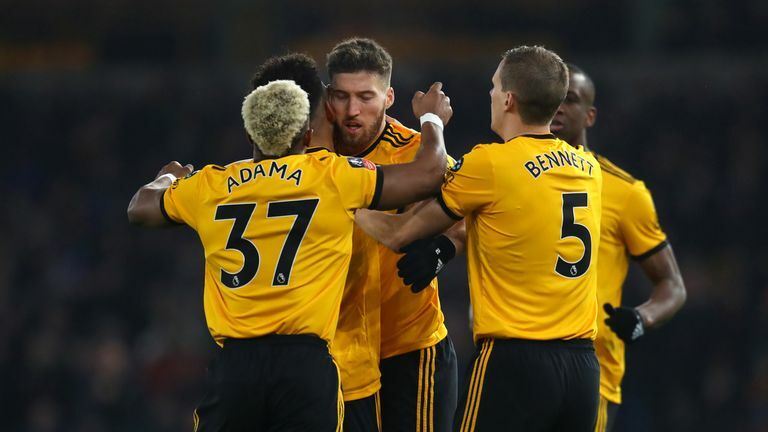 Wolves boss Nuno Espirito Santo criticised his under-performing side after they finally beat Shrewsbury in the FA Cup. Ivan Cavaleiro struck to seal a 3-2 replay win and book a fifth-round trip to Bristol City after Matt Doherty’s first-half double. The defender continued to haunt the Shrews having also scored the injury-time leveller in the 2-2 draw in Shropshire last month. James Bolton and Josh Laurent, after John Ruddy’s gaffe, had put the Shrews 2-1 ahead in the first half before Wolves recovered but Nuno remained unimpressed. He said: “I’m not happy with the performance but happy because we got to the fifth round. This is the most important (thing) but we have to look at the game and see it was not one of the best performances. Wolves manager Nuno Espirito Santo wasn't happy with his players performance after beating Shrewsbury in their FA Cup fourth round replay. Sky Bet League One Shrewsbury, 60 places below gave their Premier League hosts, gave Wolves another scare at Molineux. Doherty scored after 78 seconds but Bolton’s header and Laurent’s strike, after Ruddy spilt his shot, threatened an upset. But Doherty headed home in first-half stoppage time before Cavaleiro’s fourth goal of the season, when he cut inside to score, won it after 62 minutes. Boss Sam Ricketts, who captained Wolves to the League One title in 2014, was proud of his side but felt Cavaleiro’s goal should have been ruled out. He said: “It’s a clear foul. You can’t put two arms around my player’s waist, pull him out of the way and push him to one side. “It’s a foul. I’ve not seen what VAR saw and their angles, but it’s a foul. I saw it from my angles and it’s a foul so that disappoints me more than anything. If we’re going to have video technology, let’s get it right.